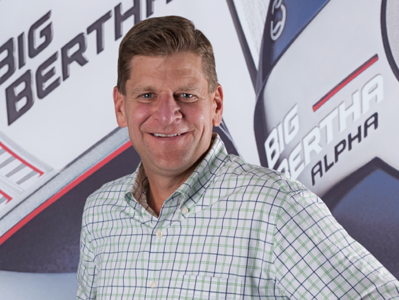 Callaway Golf Company (NYSE: ELY) announced yesterday sales and profit increases for the 2014 fiscal year ending December 31 compared to the previous year making 2014 the first profitable year since 2008. Sales for 2014 were up 5% to $887 million compared to $843 million in 2013 and net income increased to $16 million versus a loss of $9 million in 2013. Significantly, the result of cost control put in place, gross profit as a percentage of sales rose 3% while operating expenses rose only $1 million to $327 million. Reported product category sales increases: woods +8%; irons +12%; golf balls +4%; accessories +2% as well as growth in every geographic segment: United States +5%; Japan +3%; Europe +11%; Rest of Asia +7%; Other foreign countries +1%. Analysts note the competitive nature of the golf equipment business with club sales dominated by TaylorMade-adidas Golf a division of German-based holding company adidas AG (OTC: ADDY) and ball sales by privately-held Acushnet Company’s Titleist brand. The Callaway product line in the previous golf season did make inroads into the TMaG lead and for 2015 there is a highly touted version of the popular Big Bertha model driver receiving attention from the media and golfers.